Inside the Everstorm by 1412 won the Writing Spotlight! There was a sudden lack of noise as what could only be described as the opposite of thunder rolled through the tatters. There are many characters to meet on your journey through the Tattered Weave. Some run shops, while others have special features to offer. Completing Quests will raise your Reputation with a character, from Neutral, to Friendly, to Helpful, to Devoted. 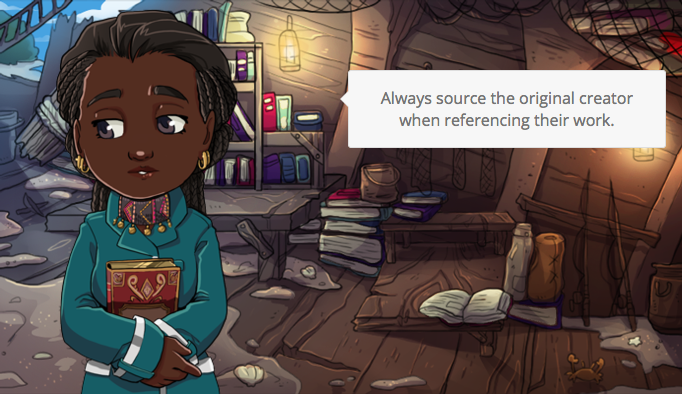 Maxing out your Reputation at 100 points with a shopkeeper will also unlock a special Devoted Shelf so you can get even more access to their wares! Keeping track of everyone can be a little overwhelming, so we’ve summarized each character for you here briefly. 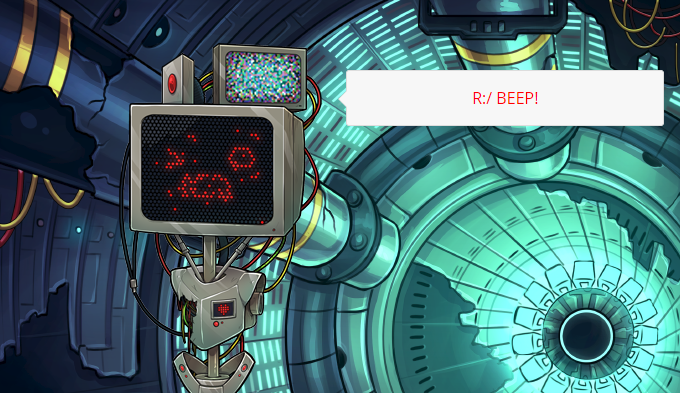 Click on the Spoiler tag to preview images alongside the descriptions! Everyone begins their adventure at Hope University. 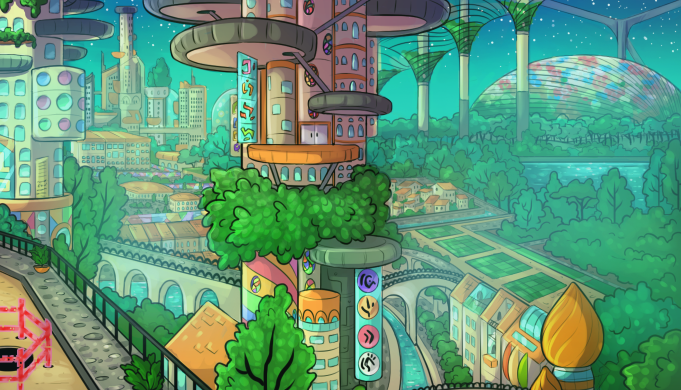 It’s a peaceful university town with many modern views and technologies. 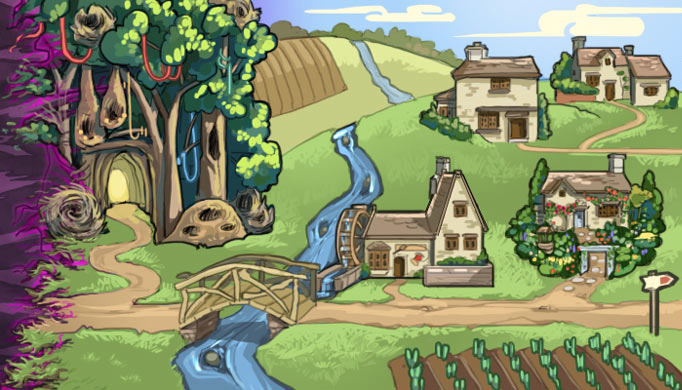 To explore other areas, you’ll have to first discover a secret from some of the characters that live here. Characters only share their secret with those who are Devoted to them from completing Quests. 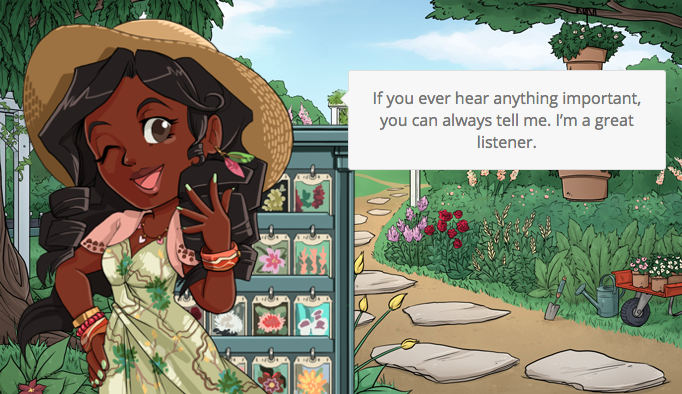 Iris is a unique Kith Ally who acts as caretaker to any Kith who have not yet found an Ally for themselves. 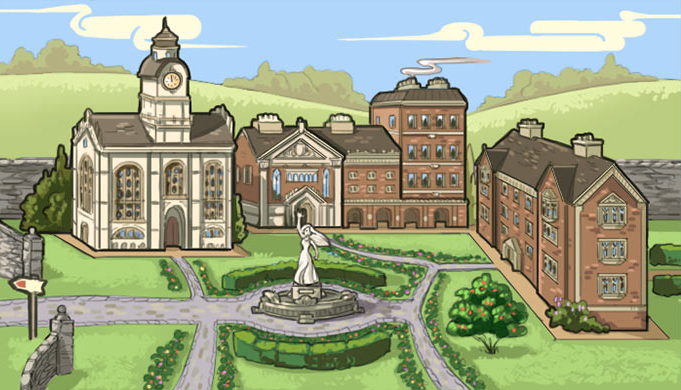 She was the first Kith to emerge from the Tattered Weave in Hope University, where she Allied with Headmaster Nicholas. 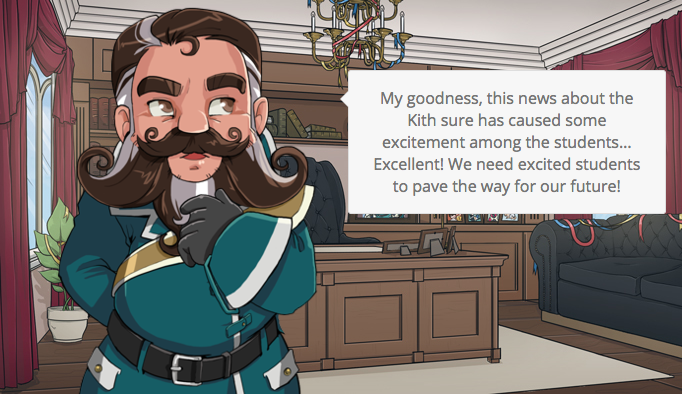 Iris has a deep sense of responsibility for her fellow Kith, gently encouraging students and their Kith to pursue the secrets of an Alliance together. 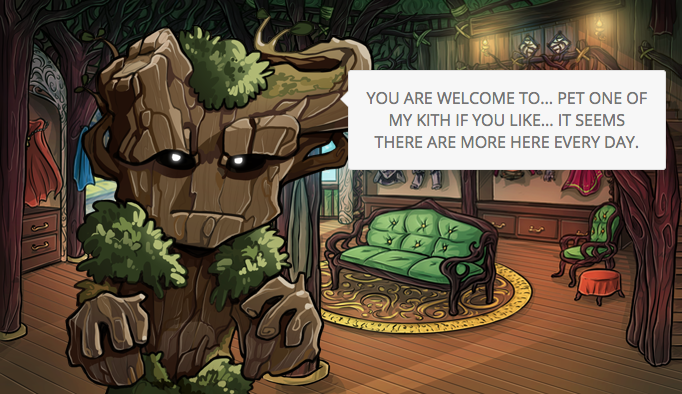 Rather than running a store, Iris instead stays at the Tatters to introduce you to potential Kith Allies and end any Alliance that isn&apos;t working out. Nicholas Artois is the Headmaster of Hope University. He runs the Headmaster’s Office, which is our premium shop, where you can buy special items unavailable elsewhere. Some premium items are only available for limited times, so check in regularly to see what he’s got to offer! Nicholas is also Lycus and Piper’s father, which comes across in his kindly nature toward all students. He wants to see everyone succeed, for their individual benefit and for the good of the community. His wife, Estella, is a tenacious banker who likes to tease her husband about his rebellious youth. Estella Artois is a strict but helpful employee at the Bank of Hope. 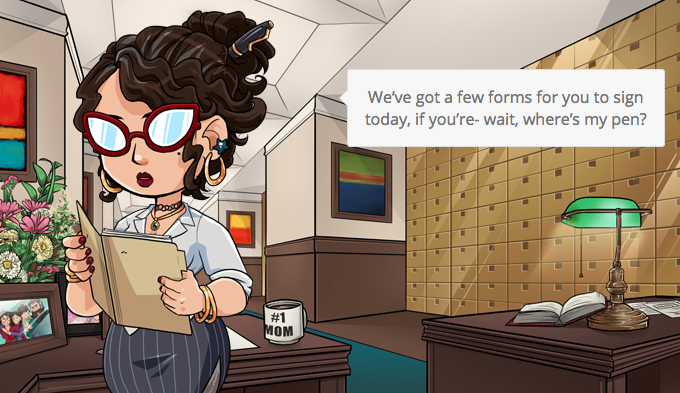 Though she is a driven businesswoman, she’s even more strict when it comes to making sure her family spends quality time together. Her husband Nicholas is often busy with his duties as Headmaster of Hope University, and her children Lycus and Piper have similar excuses that fail to work on their mother. Estella loves sharing dinner with her family in particular, especially considering her children’s bad snacking habits. Sometimes she invites friends over to join them, merrily teasing her loved ones with embarrassing stories of their past. She has been happy to see Nicholas and Iris’ Alliance flourishing, welcoming Iris into her home with warmth and affection, but has increasing concerns over the wild Kith who follow in Iris’ wake. 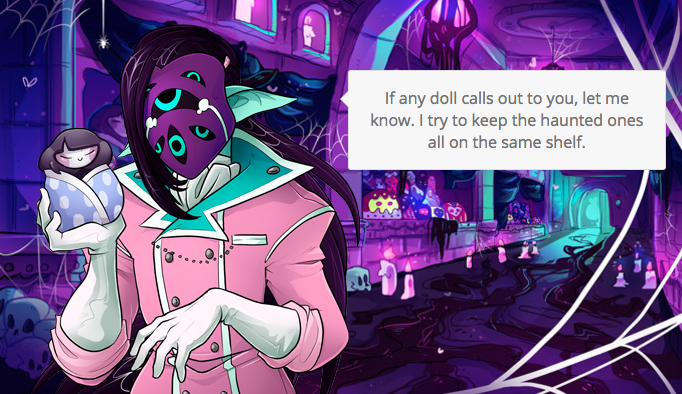 Lycus is an alumni at Hope University working diligently on his thesis to uncover the mysteries of the Tattered Weave. Instead of a shop, he runs the University Lab, where you can donate items for other students to take. 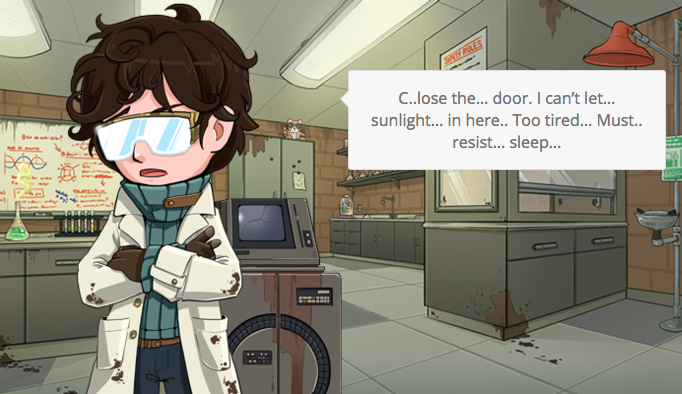 Items that aren’t taken by other students get used in experiments by Lycus to further his Experiment Progress Bar, which grants everyone a special premium item for 24 hours after the Progress Bar is filled! Lycus’ experiments were what first revealed the existence of other Remnants. Ever since then, Lycus has been determined to find as many others out there as possible. Even if he’s a little socially awkward about it. Piper is a young student at Hope University, not yet attending college-level classes with the exception of her own self-taught programming credit. With some help from friends and family, she runs the Arcade and creates all the Games for you to play. She sometimes uses her stuffed animal backpack, Seeba, as a sidekick to help her run events or as inspiration for her games. Piper loves meeting new Kith and playing games of chance and skill with anyone willing to bet against her. 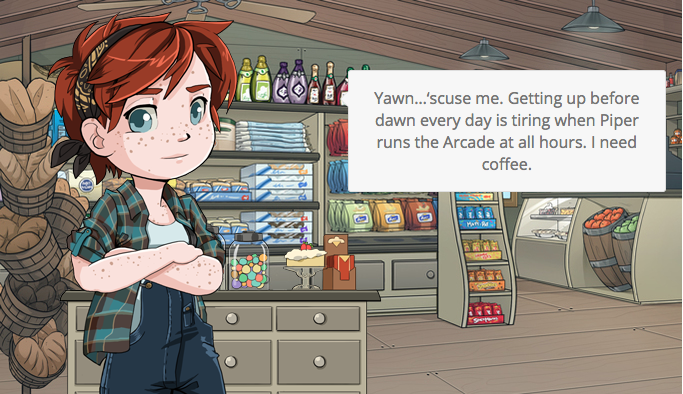 She rents space from Jay’s General Store in order to house the Arcade where she works between classes. Kei helps Piper change the color of her streak of dyed hair sometimes when she collects enough dye from Quests! 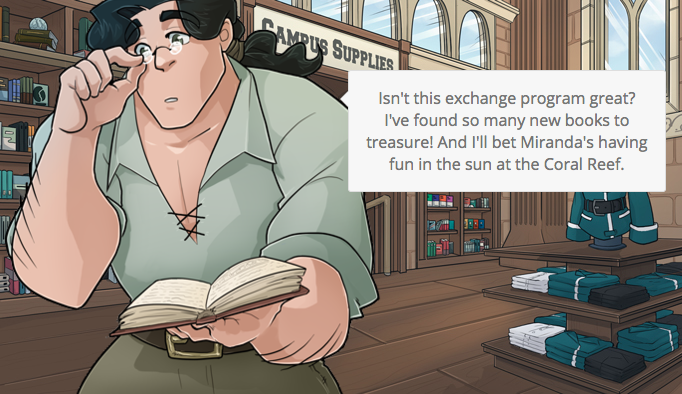 Miranda is a bookkeeper-turned-adventurer, traveling from one Remnant to the next in search of ever more books to collect and resell. Though she was unsure of following her dreams before, she grew bolder ever since Lycus discovered the Enchanted Forest and she met Skyler. Admiring Skyler’s bravery, she Allied with her own Kith, Enheduanna, and the two of them set off together into the Tattered Weave. 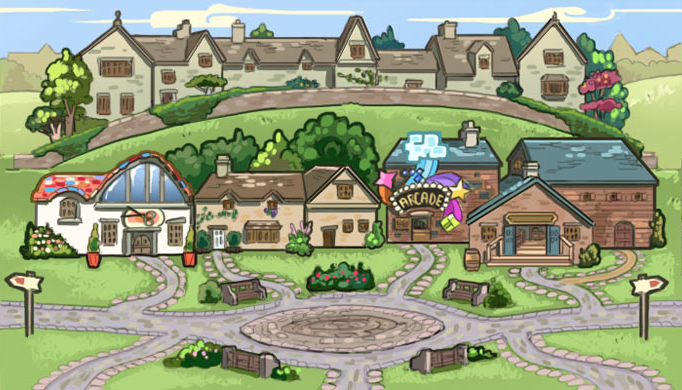 Her shop, Campus Supplies, now serves as an exchange program where you can meet characters visiting Hope from other Remnants. Most recently, she visited the Coral Reef, but after the Everstorm struck and she was briefly stranded on the Shadow Stage, she was relieved to come home and relax for a while. 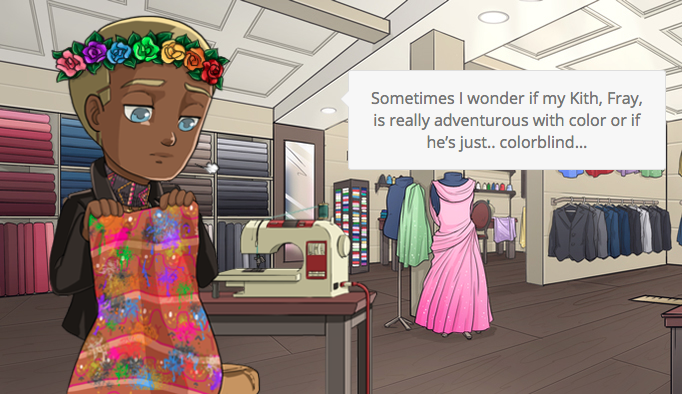 Andre is a tailor who runs Tailored Fashions, Hope’s clothing shop. He’s an introvert on the shy side, kept on his toes by his impulsive and energetic Kith, Fray. If it weren’t for Fray and his newfound friendship with Kei, he might never have sought out friends aside from Miranda and Robin. Though he and Miranda spend lots of time together now that she&apos;s back from her travels, Andre still regularly visits Robin’s garden for tea when he needs some peace and quiet. 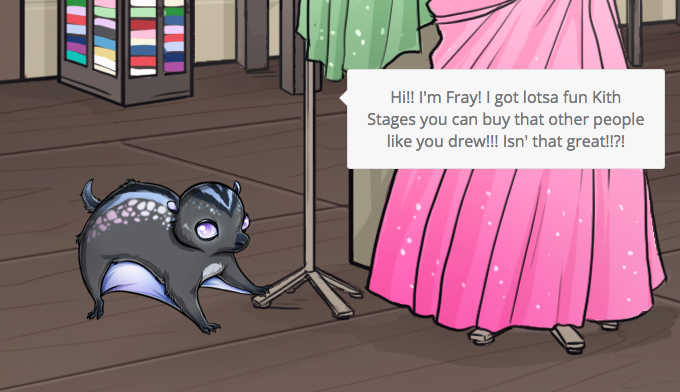 Fray is a hyperactive little Kith known as a Lumence who has finally achieved his dream of making Kith Fashions! Though he was first abandoned by one of Kei&apos;s younger siblings, Fray resisted going back to Iris and instead begged Andre to let him help with Tailoring. The two Allies had a contentious start, since Andre is quiet and introverted, but after receiving some help from the community they&apos;ve both taught each other valuable lessons of friendship. Fray can manage his impulses with creative outlets that aren&apos;t so destructive, and he&apos;s a positive, encouraging force of nature that pushes Andre to make new friends instead of hiding away. 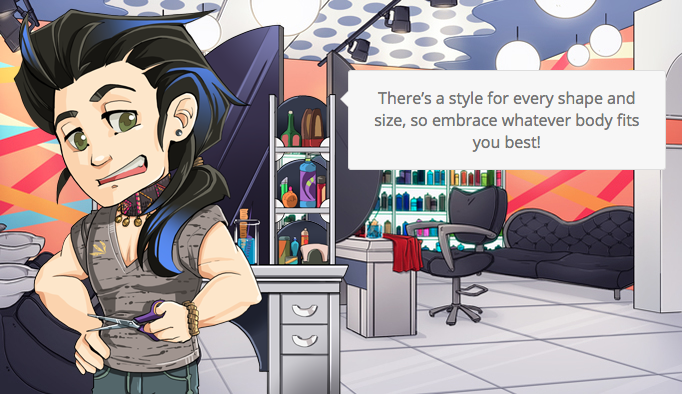 Kei is the popular stylist of Hope, running the local Salon. He enjoys making friends and working out at the gym, but he has a soft spot for children, having come from a large family. 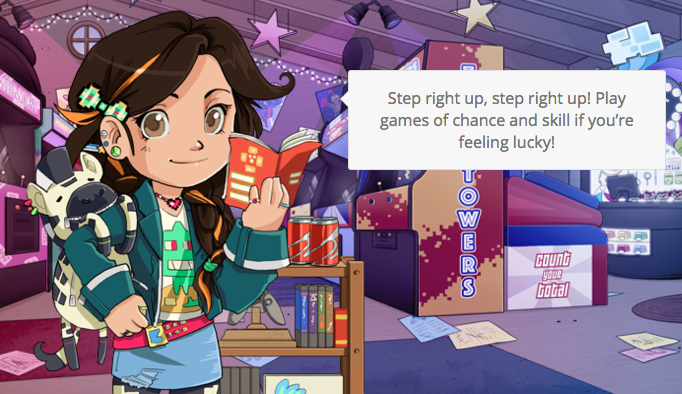 Piper and Kei regularly hang out at the Arcade together placing bets and playing games. Recently he’s been trying to befriend Andre, with positive results thanks to Andre’s Kith, Fray. 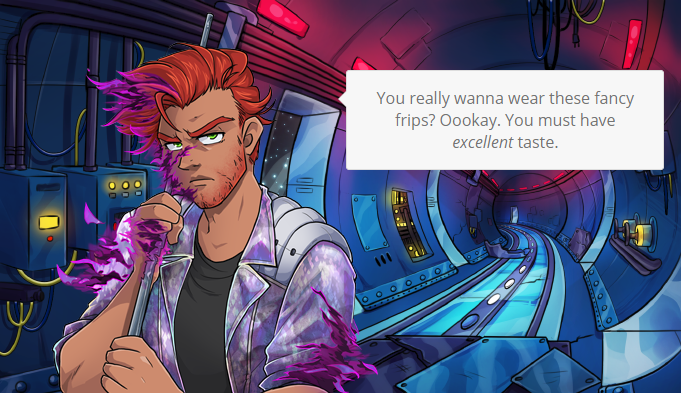 If you ask him, he’ll say his favorite pastime is complimenting everyone’s unique sense of fashion, followed closely by baking. 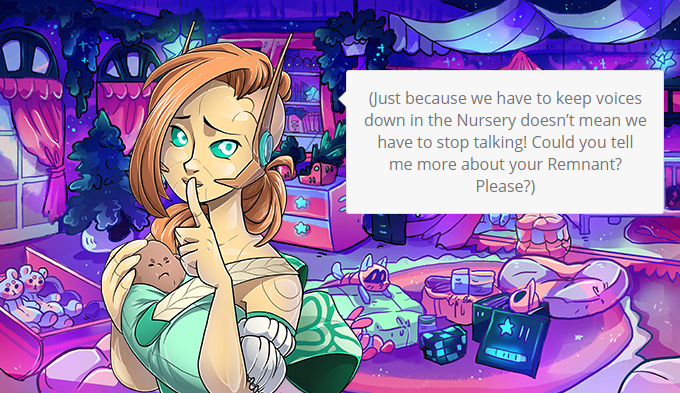 Robin is a total gossip in between running the Greenhouse Garden and seeking out every party invitation she can get her hands on. Sometimes her tendency to jump to conclusions lands her in trouble, a hard lesson she still has yet to fully learn. Despite this, she’s an excellent source for news, particularly if you enjoy the romanticized version. 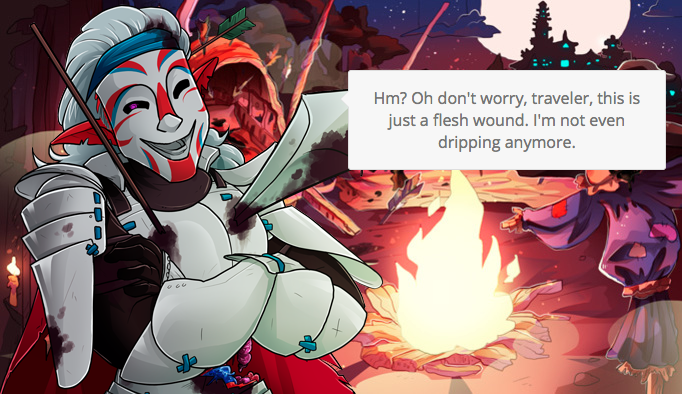 Her heart is in the right place, though, as she really just wants to connect with people and try to make up for her occasional mistakes. Shady Character (is that even his real name?) was previously a lowly forum Moderator who now runs the Backstage Broker, the best place to check out the hottest new designs made and submitted by fellow users. While he may not be able to sew a stitch, he has a deep love and appreciation for the arts, particularly writing. He swears he is on the up-and-up, but spend any real time with the man and you&apos;ll start to notice some plot holes in his stories. Either way, he seems to be well traveled, having picked up junk from just about every Remnant, which he enjoys displaying in what can only be called a chaotic pile. 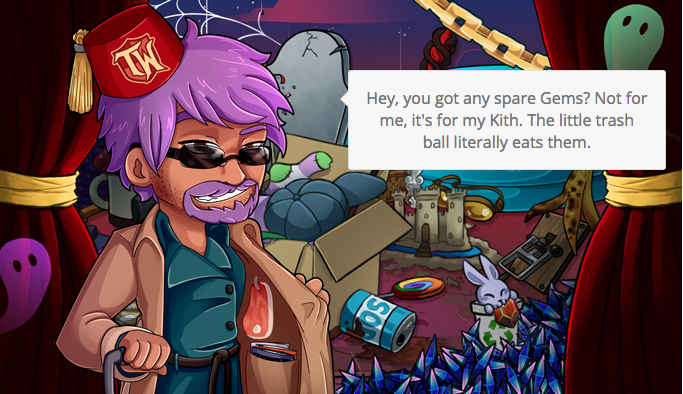 If you are lucky you might even spot some unreleased items among the mess around his “Kith” ally Club. The two of them make a strange but lovable pair that work hard to keep the site running. 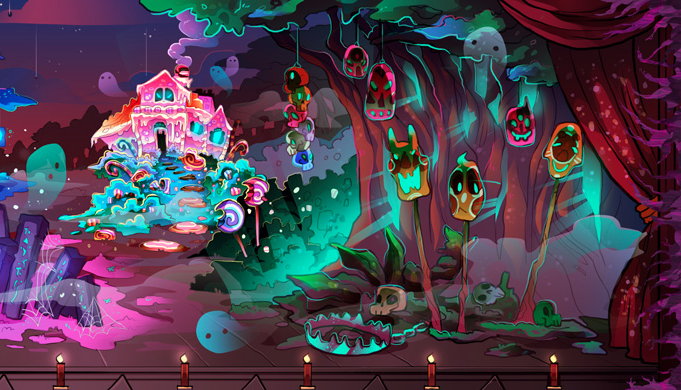 The first Remnant to be discovered by Hope, the Enchanted Forest is a magical home to three unique species. The Avoreals are a warrior race that guard the skies from the Withering, which is what they call the Tattered Weave. The Dryads are a race grown like trees to protect the Enchanted Forest at the roots deep beneath the forest floor. 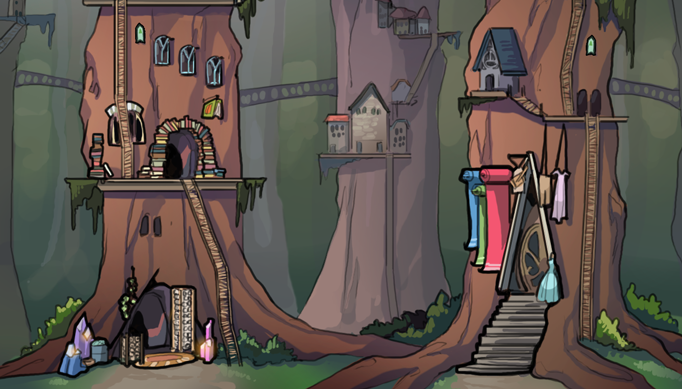 The Elves are a magical race responsible for the politics and rulership of the Enchanted Forest, as well as supplying the Dryads and Avoreals with shared resources. Celariel is the Elven ruling princess of the Enchanted Forest. She sells magic armaments from her Throne Room, where she also works with her Royal Assistant Lenta on magical projects. 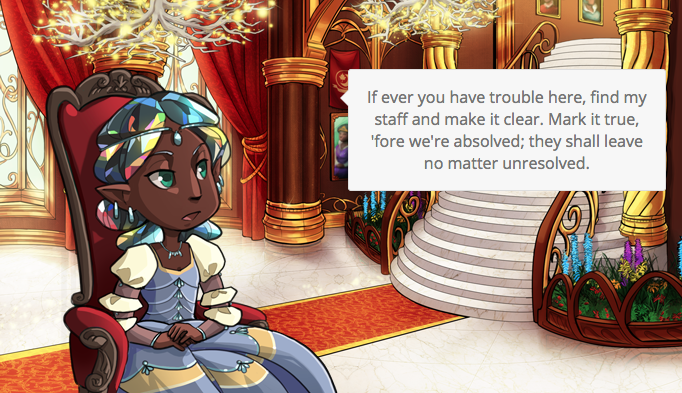 Since the king is busy tending the protective Heart of the Forest, which keeps the Enchanted Forest safe from danger, Celariel spends most of her time in court. Her duties at court have shaped her into a polite poet, keeping her distance from her subjects in order to remain objective in her rulings. Once, when the Enchanted Forest was threatened by the Everstorm, she held a hurried contest to win her hand in marriage. It was called off when the Everstorm was ended, but she remains ready to marry the victor should danger arise again. 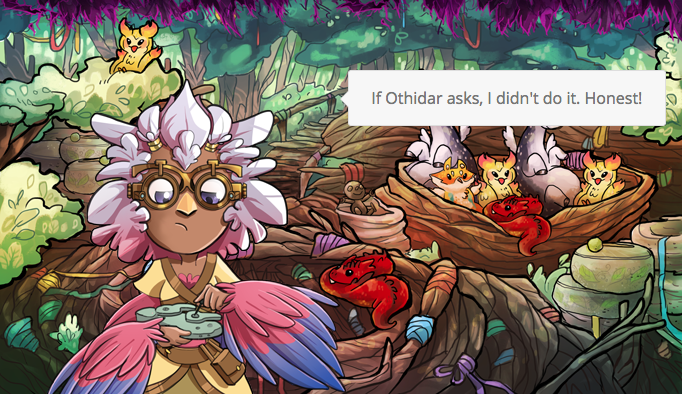 Othidar is an Elven master chef who runs Elven Cuisine. 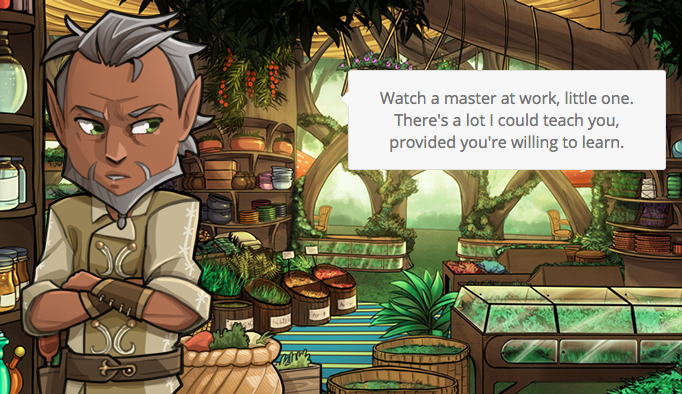 Old age and strained relationships have made him a picky critic who demands high standards of the students he takes on in the Enchanted Kitchen. He has a soft spot for attentive student chefs, as well as the Princess Celariel, whom he considers family. The King was a close friend in their youth, but the complexity of rule has driven them apart. Often he’ll turn to Alban for advice when he feels his complaints aren’t being heard. The two of them also care for any of the solitary Kith that turn up in their shops. Lenta is a Dryad who serves as Celariel’s Royal Assistant while running Magic For Sale. Dryads are a genderless race, so Lenta uses “they” pronouns, sometimes including their tree when speaking about themselves. As magic in the Enchanted Forest is a very exact study, Lenta is meticulous and likes to be prepared. 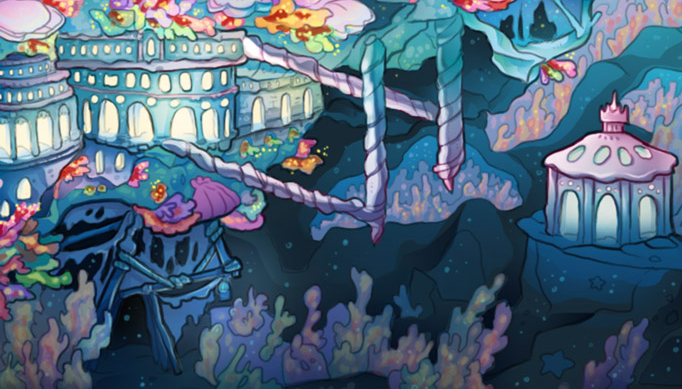 Though Celariel silently worries about Lenta’s non-magical research, such as when they helped Lycus discover the Coral Reef, she hasn&apos;t expressly forbidden it. Lenta is grateful for her lenience, feeling a strong sense of curiosity and wonder for realms beyond the Enchanted Forest. Recently, Lenta’s Scrying spell has been used to allow other characters to make long-distance conversation while remaining comfortably at home. Alban is a Dryad, one of the oldest ones in the Enchanted Forest, who runs Forest Fittings. Dryads are a genderless race, so Alban uses “they” pronouns, sometimes including their tree when speaking about themselves. Alban is a gregarious Ally, surrounded by many Kith of their own as well as some of the solitary Kith that flit between Forest Fittings and Elven Cuisine. Alban’s booming voice may scare newcomers, but it doesn’t take much conversation to see past that to their kind and generous nature. They’re also something of a punster; just ask their Cinis, Ter. Dizzy is a young Avoreal prankster who runs the pun-named Nesting Playce. Seeing the way Skyler was treated for wanting to be different from other Avoreals, Dizzy decided as a chick to never belong on purpose. She chose to build her nest as far away as possible, right at the edge of the Withering, a dangerous choice that the Avoreals applauded for its risk. Instead of acting as guardian, however, Dizzy busied herself with what she considered fun: making toys to be used as pranks and lures to get others to play with her. This quickly turned her reputation to the one she desired, as all the Enchanted Forest came to know who was responsible when something hilariously unexpected happened. 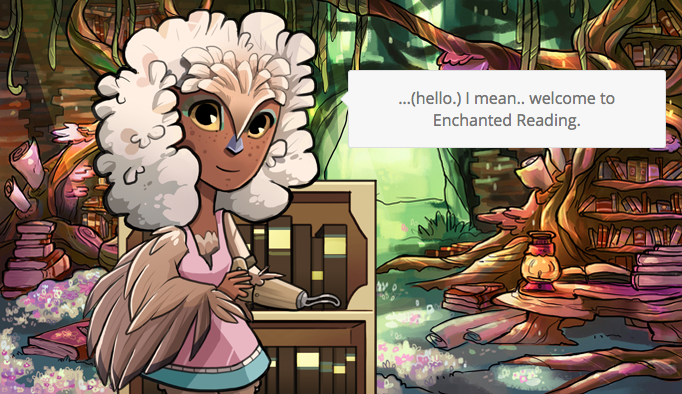 Skyler is an Avoreal who runs the recently-made Enchanted Reading shop. Skyler was born with a disabled wing, which automatically separated her from the other flying Avoreals. She refused to undergo magical treatments to disguise or alter her wing, searching stubbornly and silently for her own solution out of a sense of shy, quiet pride and disinterest in a warrior’s life. After studying books from Hope University, Skyler was able to design her own prosthetic for navigating bookshelves. From there, she became the first exchange student in Hope University, eventually returning to the Enchanted Forest to continue her beloved work as a bookkeeper. The Coral Reef is a tropical island that was once isolated by the destructive Everstorm, a powerful storm made of the Tattered Weave. 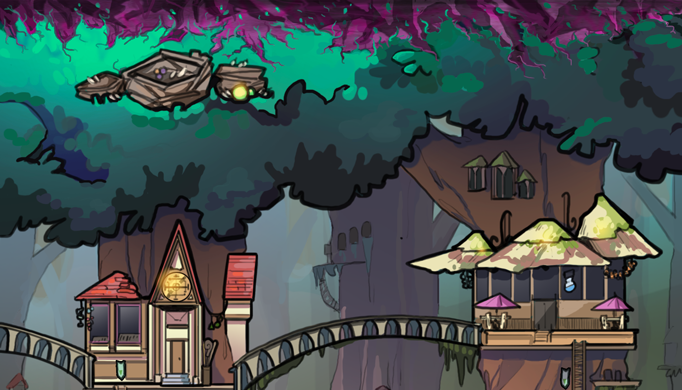 Thanks to the intervention of both Hope University and the Enchanted Forest, the Everstorm was pushed back into the Tatters. 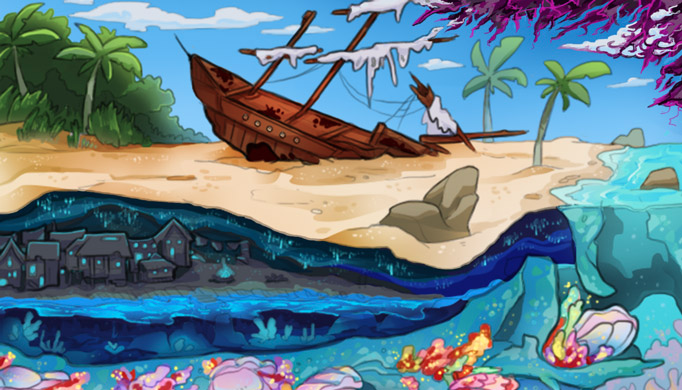 On land and in the cove just below the surface are pirates, while merfolk live in the depths below. Though they don’t actively fight each other, the rowdy pirates and spirited merfolk can sometimes clash. 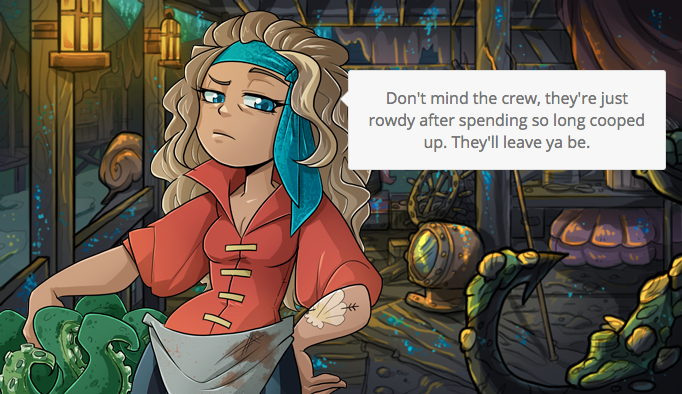 Bonnie is a pirate that cooks for the whole crew from her shop, the Pirate Galley. She’s a laid-back rascal who likes to gamble, drink, and tell tall tales about how she got her peg leg. 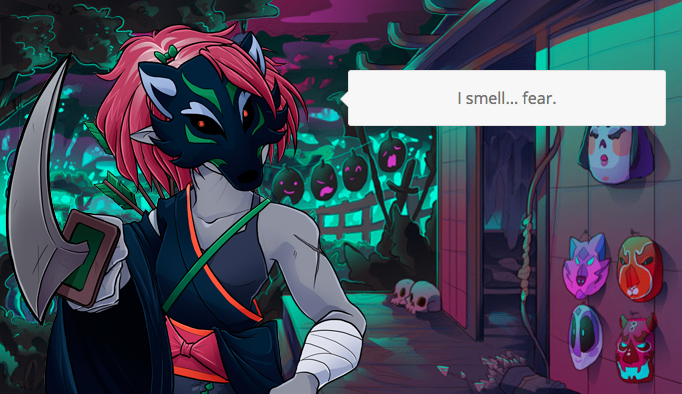 Her sense of taste is, well, let’s call it “unrefined” due to the harsh conditions the pirates had to survive while the Everstorm was still around. Though she and Tethys both handle cooking, the two have had a falling out and aren’t on speaking terms. Marcus is a pirate from the Coral Reef who ran Campus Supplies while Miranda was traveling. Lycus found him and his Kith, X, trapped in a shipwreck while Lycus was searching for buried treasure. The two became friends on their way back to Hope University, and Marcus gladly volunteered to join the exchange program to broaden his horizons. After Miranda returned home for some rest & relaxation, Marcus took some of Lycus&apos; experimental equipment to the Coral Reef to help him monitor the newly-disappeared Everstorm. He now runs the Treasured Knowledge shop while keeping an eye on the sky and a baited line in the water. 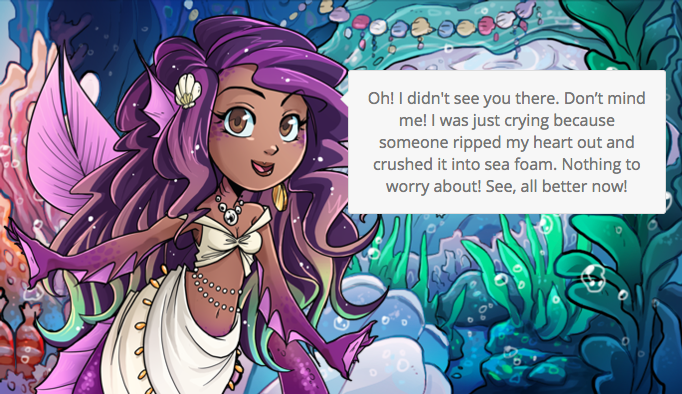 Dione is a fashionable mermaid who runs Decked Out. 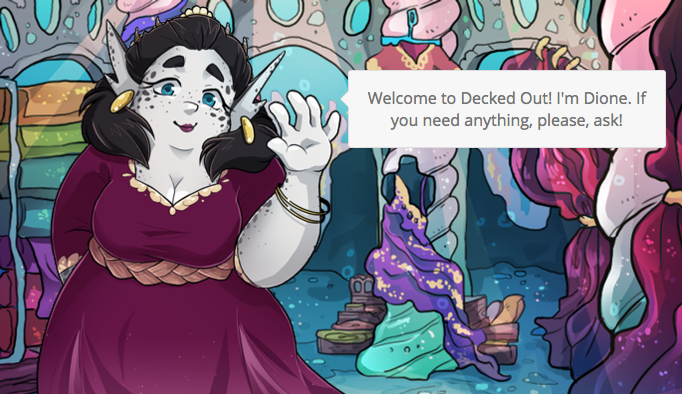 Her clothes are designed with both merfolk and pirates in mind, so some pieces are two-legged while others are not! She has a nurturing, reliable personality that makes her easy to befriend, even for merfolk as prickly or strange as Shay and Ogenus. Tethys in particular visits Dione often to cry on her shoulder. Dione and Ogenus are forever arguing over propriety, since Ogenus hates wearing clothes. Tethys is a beautiful and melodramatic mermaid who runs Siren’s Delights. Despite her smiles and singsong attitude, she’s still heartbroken over her breakup with Bonnie. She visits the surface often in search of new people to meet and greet, inviting them to her shop underwater with magic if they can’t naturally swim or breathe water. She especially likes visitors who are rich and/or beautiful, though she has her own emotional way of showing it. 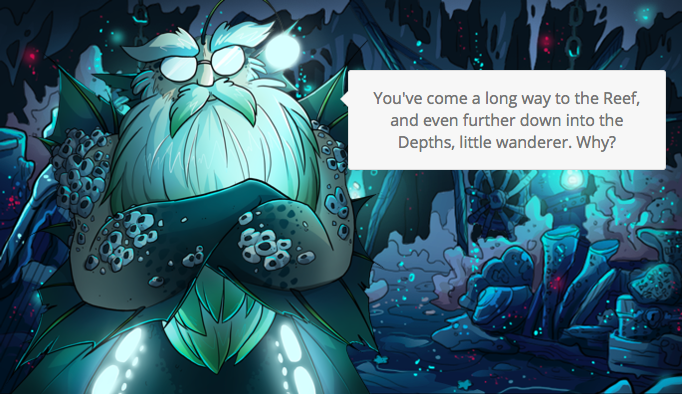 Ogenus is a merman who collects junk at the bottom of the Coral Reef in the Seabed. Originally he made his home there because it was an excellent garbage heap to sort through, but other merfolk started using the Seabed to lay eggs shortly after. Ogenus has given up on chasing away expecting couples and now grumpily watches over the eggs and newborn merbabies. He’s happily intrigued by visitors from the surface, always full of questions about what his trash might mean to someone. 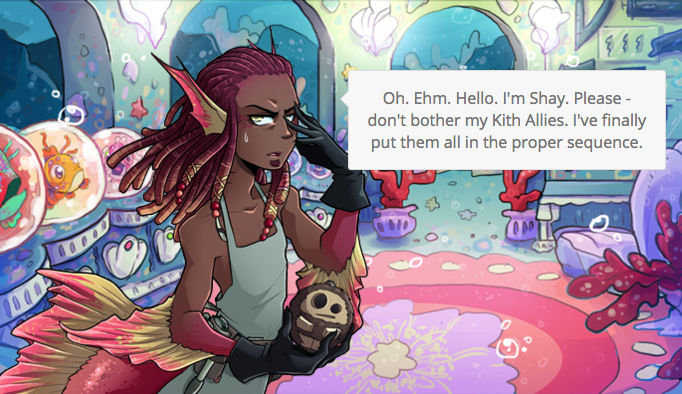 Shay is a merman who runs Starboard Engineer, where he makes toys. His perfectionism can make him seem picky, but not as picky as his ten Kith. Shay sometimes struggles to express himself in a way that doesn’t come across as rude; so much so that he often gives up before trying for the sake of expedience. However, his masterful skill with engineering has made him not only a successful toymaker, but also the merman to turn to for repairs. Ogenus often employs Shay to help figure out the inner workings of some broken mechanism that falls into his Seabed. The Shadow Stage is a haunted theater whose masked actors, the Thespians, were recently freed from the Narrator. The “Stagehands” who once served the Narrator are now Kith looking for Allies in the Tatters. Each major player has a role they took up under the Narrator’s direction which they use as a form of privacy and self-expression. Learning what lies under the mask requires a great deal of dedicated devotion to each individual. The Hero is an exuberant Thespian who runs the Prop Cart. 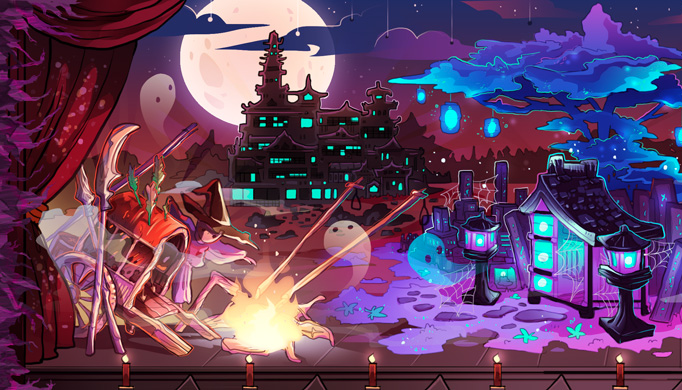 Years ago, long before Hope arrived at the Shadow Stage, Hero fell under a curse of immortality that keeps him alive through any injury but causes him to lose his memory every time he dies. This has strained his relationship with the other Thespians, in part due to being an antagonist in all of the Narrator’s plays, and in part due to the grief they feel over the circumstances causing his curse. Wolf in particular loathes the Hero, blaming him for the death of her daughter, the Damsel. Hero’s Kith, Mawnite, seems to be the only one he’ll believe about past memories, though even that is tenuous. The Wolf is a cautious, older Thespian who runs the Casting Call. She considers herself responsible for ensuring the safety of all those who come onstage. Though she doesn’t make the costumes herself, Wolf oversees the assignment of roles to newcomers by offering them clothes. Frequently these clothes are old castoffs from late roles. Being the Witch’s grandmother, and still feeling grief for the loss of her daughter, Wolf is fiercely protective of Witch. The Witch is a cheerful young Thespian who runs the Confectionery and the Kitchen. 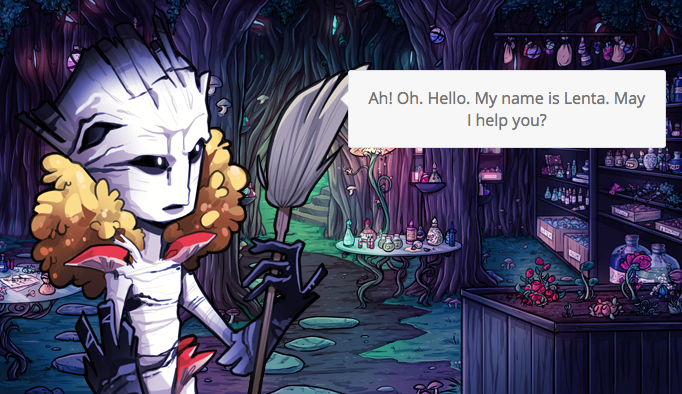 Though the player under the mask is male, the role of the Witch is female, which has led the Witch to feel simply confused about his or her gender in general. What Witch wants most is to be able to have friends, longing for playmates that Wolf won’t scare away. 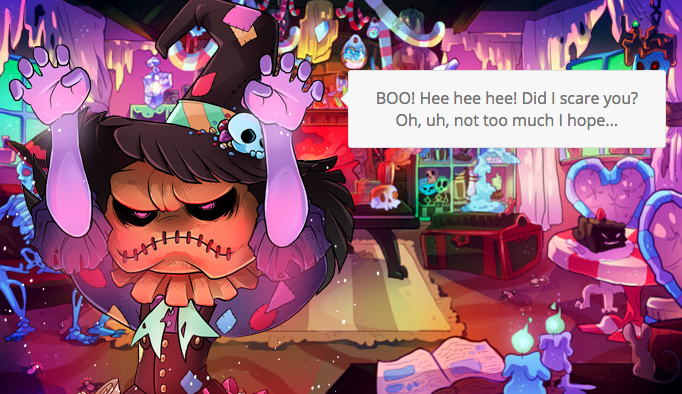 Ever since Allying with Castwick and meeting the students from Hope University, Witch has become more optimistic about making - and keeping - friends. The Dollmaker is a Thespian who runs Captive Audience, a toy shop in the cemetery’s mausoleum. He is a soft-spoken and melancholy player who grieves for the dead by crafting dolls in their memory. Dollmaker holds deep reverence for mementos and mourning traditions. Before Damsel died, she trusted him with the newborn Witch, asking him to keep Witch a secret for the sake of their friendship. It was Dollmaker who convinced the Narrator to let Wolf raise Witch after Damsel’s secret was found out. He still regrets not defying the Narrator sooner, like she did, but takes comfort in his Kith Eludance and their newfound freedom. The Scribe is a confident Thespian who is trying to fill the Narrator’s absent role from the Center Stage. She once admired his stories but grew tired of plot holes and repetition over the years, until she finally joined her fellow actors and rebelled to free the Shadow Stage by Allying with her Kith, Veilious. 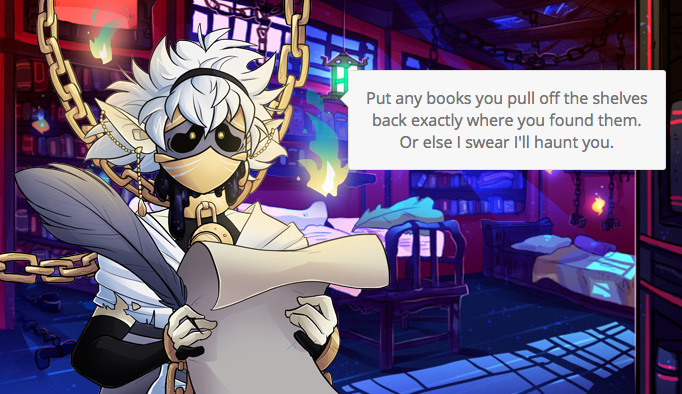 Since then she has been working furiously to review old plays for clues about the Narrator’s ominous doomsaying, Hero’s curse, and the Shadow Stage’s history, all while writing her own stories as fast as possible. 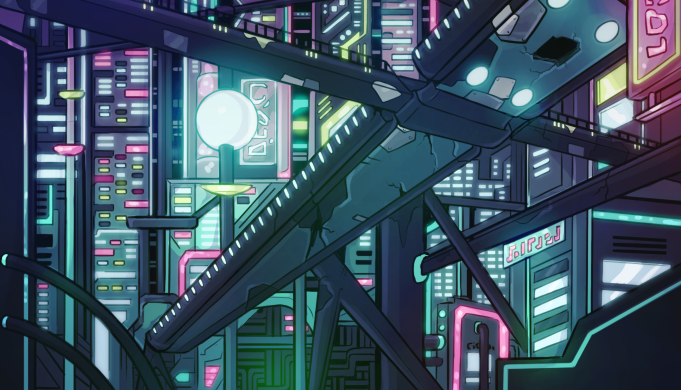 Hanging among the stars, the Cosmic Solarium is a space station on the point of collapse, its people divided between the verdant paradise of the Crust and the technologically crumbling Core hidden below. 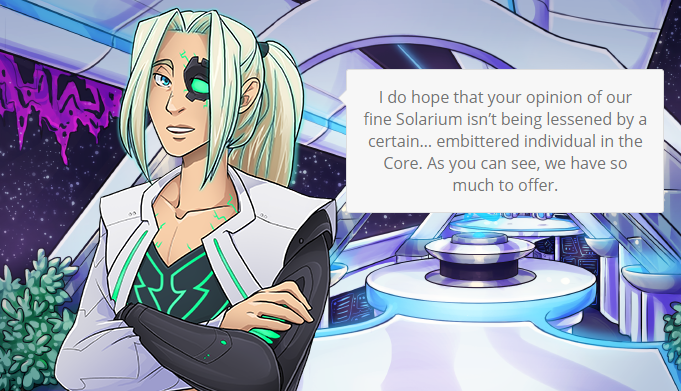 Unlike the other Remnants, the citizens of the Solarium have only recorded a mere sixty years since the event that tore reality apart, known to them as the Ultranova. Though they are in desperate need of the resources that Hope can provide, a mysterious “alien attack” that occurred a few years ago has left them deeply mistrustful. The charismatic Commander Kyprian has been the leader of the Cosmic Solarium ever since the alien attack that killed his predecessor and left him fatally wounded. Now rebuilt as a cyborg, the young Commander does his best to keep up morale, frequently turning to historical books about Earth for guidance. Unfortunately, his ideals often need to be compromised by reality, a fact that the jaded Elliot is all too happy to point out in vicious detail. Very few civilians are granted access to the Bridge Archives where they can purchase limited copies of his carefully-preserved holo-books. Elliot Grant is an angry young maintenance engineer in the Core whose experiments on the Ultranova have left him badly Tattered. As a result, he has isolated himself in the Castoff Shuttle and mostly communicates through the PA system. He collects cast-off clothing and sells it to survive, but he hasn’t stopped gathering energy from the Tattered Weave, known to him as the Black Hole, to weave into resources that the Solarium has no other way to access. He speaks about Kyprian with undisguised scorn, despite knowing more than anyone what sacrifices the Commander has made. Xenia is one of the caretaker droids who cares for the Solarium’s babies in the Automated Nursery. If she sometimes finds a life of constant babysitting to be a teeny bit boring, she certainly wouldn’t admit it, but she’s mastered an impressive number of Earth hobbies - all for the sake of the baby, of course. Between all the knitting, welding, stitching, and programming, she’s become a consummate jack-of-all-trades who will happily sell you some of her latest projects to alleviate the tedium. 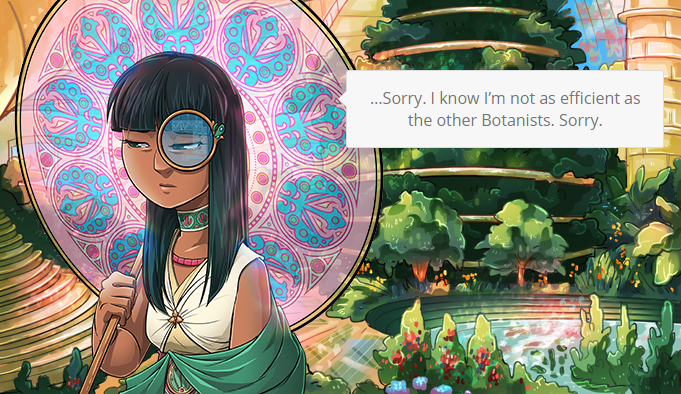 As a botanist who oversees food production at the Botany Terrace, Marisol del Bosque has one of the most prestigious jobs on the Solarium, but she sometimes struggles to balance her obligations with her chronic depression. 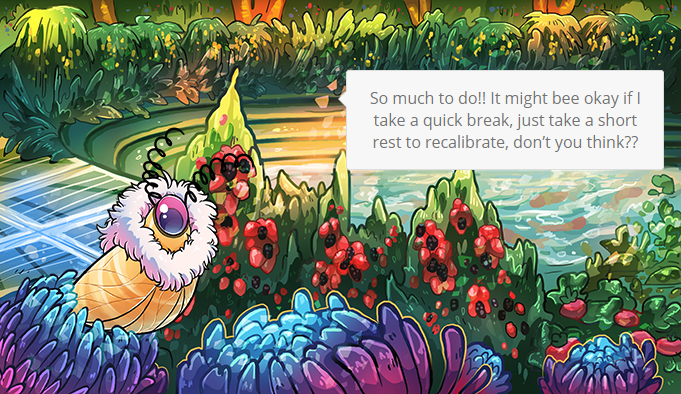 As the unofficial “queen of the hive,” she takes the time to know all of the pollenbots as individuals, and has Allied with two Insectors who help her manage the gardens: Florachnid and QTpod. She has an unconventional but loving relationship with Beebot. B3380T.v3-77, who has chosen the nickname Beebot, is a cheerful and hard-working pollenbot who works in the Terrace Hive. She is devoted both to her extremely demanding job and to Marisol, the queen of her heart. Though she’s usually darting around with her many assignments, she’ll happily make time for the people that she cares about. RiGBy was once a plural transmissionbot composed of three AI Chips named Red, Green, and Blue, but they were badly broken when the Ultranova struck. Now only Red is active, and is determined to rebuild Blue and Green’s damaged AI chips so that they can repair their system. Though they’ve made a small amount of progress in the Core Transmissions with help from Elliot and Xenia, they’re hopeful that the students of Hope will have the missing materials that they need.